Assembled Rife/Bare devices are now available! 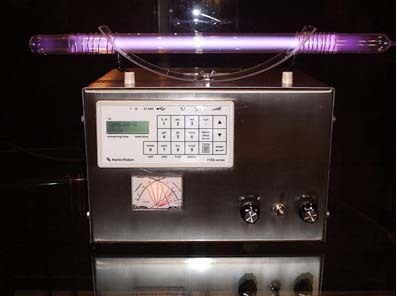 Resonant Light Technology Inc.. , and Vibrant Health , are licensed to construct Rife/Bare devices. They are required to build their devices to the electrical specifications called for in the patents. They are also required to provide a warranty, and responsive customer service. Although there are differences between the parts each company may utilize, each device will produce the type of wave and spectral output that is required to produce optimal physiologic effects. These devices are in daily use in homes and clinics world wide. 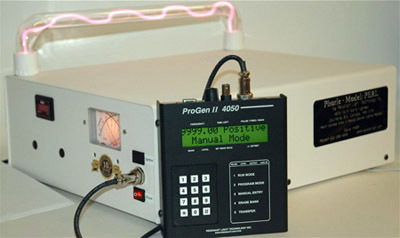 Resonant Light Technology Inc. , produces the PERL Rife/Bare device. The PERL is built in an ISO certified factory, and has been granted a Health Canada license. Health Canada is the Canadian equivalent of the US FDA. Resonant Light Technology is celebrating it's tenth year in business and has built literally thousands of Rife/Bare devices. Consequently, Resonant Light Technology,Inc. has produced, sold, and maintained more Rife/Bare devices than anyone on the planet. Resonant Light Technology is dedicated to service and the production of the absolute best Rife/Bare device possible. The PERL is in both clinic and personal usage world wide. The knowledge base developed by Resonant Light Technology has allowed for the creation of proprietary custom frequency programs that are based on feedback from years of use by their thousands of customers.. The PERL is not only easy to use, it's purchase comes with a customer support system that is unequaled by any other company producing frequency devices of any type. Resonant Light Technology offers a level of customer satisfaction, that is unrivaled in the industry. The PERL Rife/Bare device from Resonant Light Technology, Inc. The PERL utilizes a unique square U tube shape originally developed by James Bare, that produces a wave form with increased effectiveness over other tube shapes. Resonant Light Technology , Inc. Vibrant Health constructs a compact Rife/Bare device that is assembled within an enclosed stainless steel box. Called the IR/BPT-500, this instrument is very simple to set up and operate, and comes complete with a frequency generator. A variety of different tube types are available for use with the IR/BPT-500. Vibrant Health makes a reliable, high power device of up to 300 watts output which is ideal for clinic usage. It is capable of frequency outputs of over 500,000 Hz. Each unit is custom constructed to the customers requirements and tuned to maximize performance.